A nonplanar graph G is near-planar if it contains an edge e such that G − e is planar. The problem of determining the crossing number of a near-planar graph is exhibited from different combinatorial viewpoints. On the one hand, we develop min-max formulas involving efficiently computable lower and upper bounds. 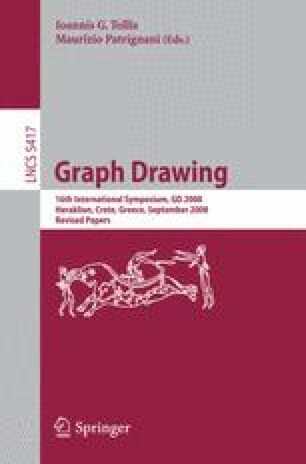 These min-max results are the first of their kind in the study of crossing numbers and improve the approximation factor for the approximation algorithm given by Hliněný and Salazar (Graph Drawing GD 2006). On the other hand, we show that it is NP-hard to compute a weighted version of the crossing number for near-planar graphs.